It’s been about a year since the last one, so today I did another dump of what is currently in my pockets and bag. Everything that I am carrying today is representative of what I carry most every day. Much of it is the same as last year. 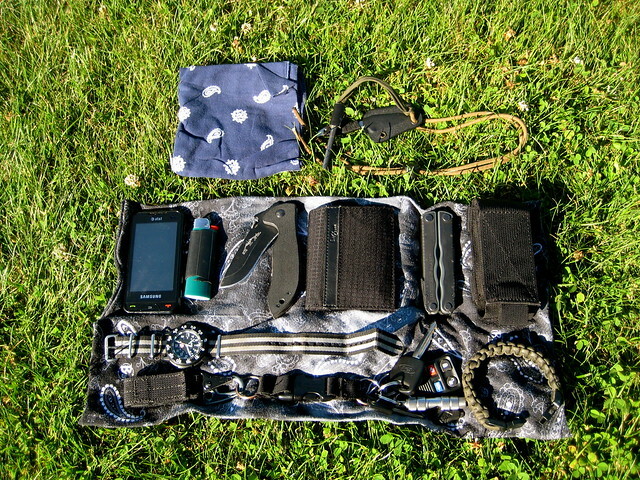 Some things occasionally change: I frequently switch between the Emerson Mini-Commander and the Izula (I probably carry the Izula more frequently than the Emerson). 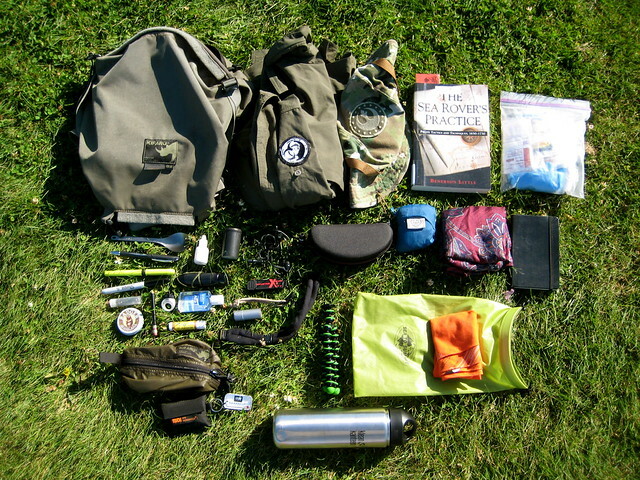 If I need more stuff, I might change the bag to my TAD Gear FAST Pack EDC or the Kifaru E&E. 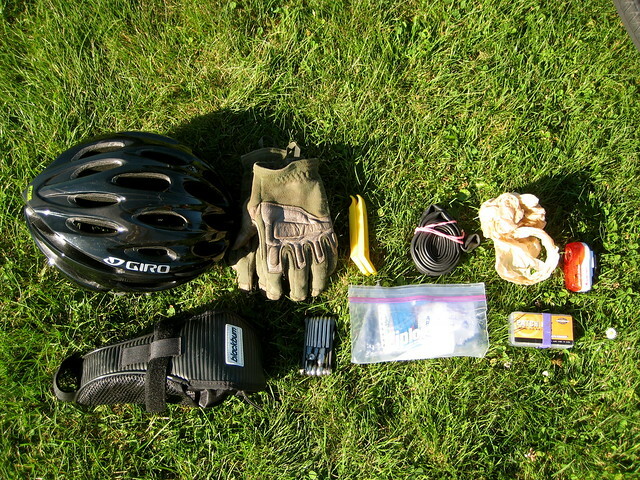 As usual, you can visit the Flickr photo pages for identification of every item. This post was published on 2010-08-18 . It was modified on 2012-09-30 . It was tagged with edc, gear, knife.